The VR system from HTC and Valve comes with greater sticker shock, but also includes more stuff. If you’re buying a high-end virtual reality headset in 2016, you’re probably not too concerned about money. After all, the Oculus Rift system alone will cost $599, and HTC just announced an $799 price tag for its Vive VR system. Those prices don’t even factor in the souped-up gaming PC you’ll need for either set, so either way the cost will exceed $1,500 to enjoy state-of-the-art VR at home. As Jason Cross noted on PCWorld, HTC’s approach resembles what Microsoft originally tried to do with the Xbox One. By bundling Kinect cameras—and making consumers eat the cost—Microsoft hoped lots of games would include motion-tracking and voice controls by default. 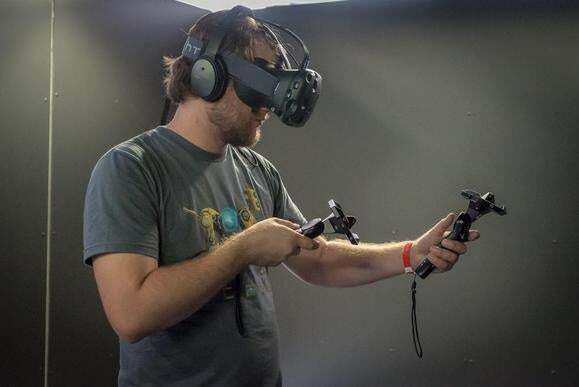 Likewise, HTC and Valve are aiming for a big catalog of games that follow your hands and body around the room, so you can’t opt out of the Pre’s position-tracking controllers. For hand-tracking, Oculus plans to sell its Oculus Touch controllers in the second half of this year, but the company hasn’t announced pricing. Alternatively, you’ll be able to stick a Leap Motion controller to the headset for about $90, though it’s unclear how much app and game support this third-party accessory will get in the long term. The Oculus Rift and HTC Vive have similar spec requirements if you’re building your own PC. Both require an Nvidia GeForce GTX 970 or AMD Radeon R9 290 graphics card, and an Intel i5-4590 CPU (though HTC also supports AMD FX 8350 or greater CPUs). 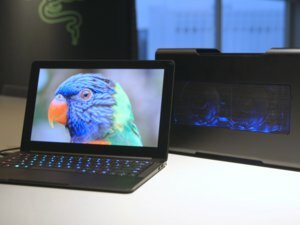 Oculus requires double the RAM at 8GB, and also demands four USB ports, including three with USB 3.0, compared to just one USB 2.0 for the HTC Vive. But either way, expect to spend $900 or more to build a VR-ready PC. Alternatively, you can buy a ready-made PC with a stamp of approval from either VR vendor. Here, Oculus comes out ahead, with bundles starting at $949 with the purchase of a Rift. HTC hasn’t announced any bundles yet, and the cheapest “Vive Optimized” PCs start at $1,600. 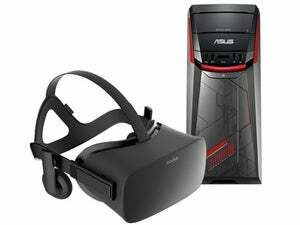 All told, the Oculus Rift seems like a slightly better value, but with diminishing returns as you spend more for the full VR experience. Early adopters may be wise to bet on the system they believe in most, regardless of cost.